When House of Fraser emailed me asking if I’d like to try out some Guerlain products it was pretty much a no brainer. Now I have to admit that I’ve never used any of their products before, but the one thing I did know about Guerlain is that the packaging was impeccable. Beautiful products that ought to be on display at all times! Guerlain // La Petite Robe Noire This range in particular is exciting because it’s actually exclusive to House of Fraser for a month, which makes me feel pretty darn special. Yes, you heard it first, one of the elite members trying out these products first. . along with the rest of the lucky folks who shop at House of Fraser. . . but we needn’t mention that bit now had we?! The pigmentation is really light and shimmery, almost more like a tinted balm. I’m not being funny but who cares what it looks like when it tastes as good as it does?! The taste, I mean smell . . kind of reminds me of the Lancome juicy tubes that everyone had at school. Yeah they tasted good but honestly who wants their hair permanently stuck to their lips? I love the lighter pink colour because it’s not too bright and it feels really moisturising, not to mention the fact that it tastes incredible. These would be great for a ‘no make up’ make up look because they give the most subtle hint of colour. I’m all about the understated look! Lipstick Pink // Lipstick Purple // Perfume Can we just take a moment of appreciation for the packaging? I’ve said it before and I’ll say it again, if there’s one thing Guerlain know it’s packaging! This tiny but perfectly formed perfume sample is a drop from heaven. If I’m completely honest I didn’t even know that Guerlain did perfume before but I’m definitely adding this to my list of things I want for my birthday. So what if my birthdays in May? I guess for now I can carry this one in my handbag so I always smell incredible! 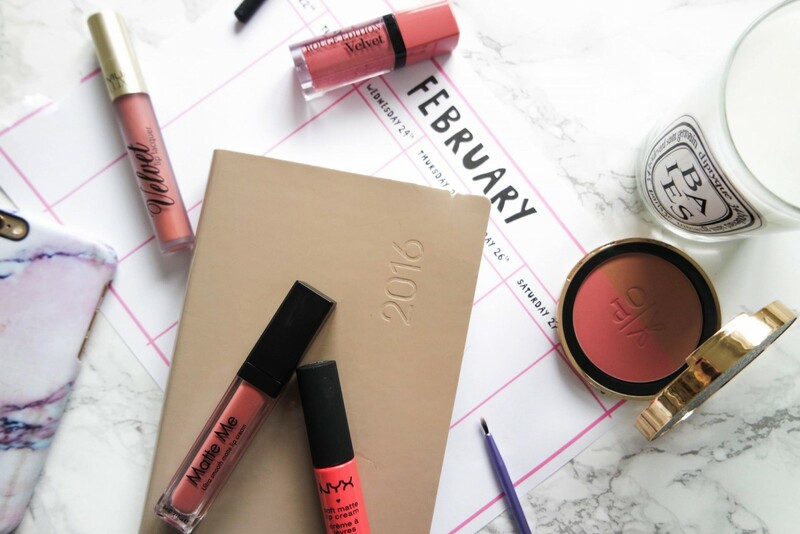 Don’t forget to follow me on Bloglovin as I’m hoping to do more beauty posts! Let me know what you think and if you decide to purchase anything from the post!! You can follow me here!